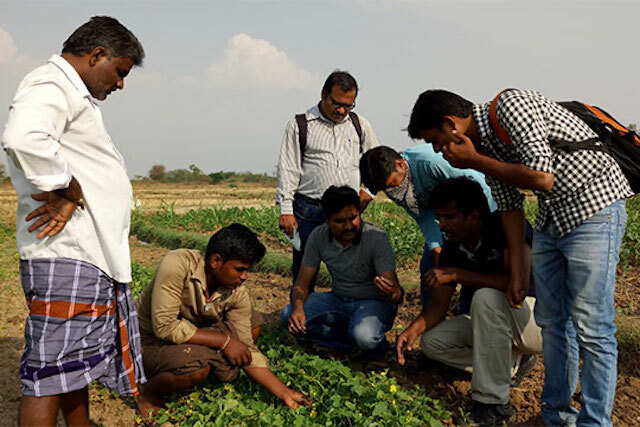 Rural youth in Karnataka, India are learning to treat farming as a business and are reaping the rewards – for themselves and for the futures of their agricultural communities. 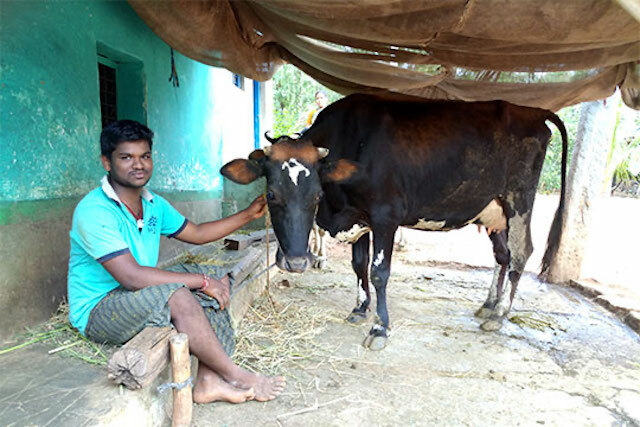 After graduating from the Agri Fellow Program, Suresha purchased two high-yielding Jersey cows and planted fodder for them on his family farm. At 18 years old, Suresha had already completed his schooling, and even taken an additional course at an Industrial Training Institute. Still, he felt no closer to creating a solid future for himself. Walking around his rural hometown of Bannikodu village in Davangere, India, Suresha couldn’t see an avenue to a prosperous livelihood. That is, at least, until he passed by Bannnikodu’s community center, where he spotted a poster announcing an agricultural fellowship program for rural youth. In India, three-fifths of the population depend on agriculture for their livelihoods, while the nation at large relies on the sector to not only feed its population but to provide one-fifth of its GDP. Nonetheless, farmers are making less and less income, and more and more young people are leaving their rural hometowns. Faced with stagnation or even poverty in the agricultural economies in which they were born, many are forced into low-paying industrial jobs far from home. Despite his drive and education, Suresha had also been considering a factory job lately, but he was hesitant to leave his home and his family in search of work and an uncertain future. But seeing that poster for the Cargill Agri Fellow (CAF) Program at the community center, he hoped for a new life path. In the classroom portion of the Agri Fellow program, Suresha and other students learned about good agricultural and business practices to improve their family farms or start their own agribusinesses. When Suresha joined CAF, he and 14 other Fellows – ages 16 to 30 – began a month and a half of practical training at the University of Agricultural Sciences in Dharwad, Karnataka. The university setting fostered an innovative environment where program participants could focus on how and where they can build careers in agriculture. Of the University training, Suresha says, “It was a life-changing experience for me. I attended lectures by senior professors, and met successful farmers and agri-entrepreneurs who are making a comfortable living from agriculture. I could not have dreamt that I would get such an opportunity in my life. It has opened my mind and changed my perspective towards agriculture. ’’ After the classroom sessions, he completed a field apprenticeship, working alongside the TechnoServe team on his farm in order to hone his skills and solidify his business plans. Today, Suresha has made himself and his family proud, and is an inspiration for his peers in the village. Diligently applying all the knowledge acquired during his training, Suresha is working to maximize the potential of his family farm, and is even starting new initiatives of his own. The change is visible on the farm, where he has implemented good agricultural practices like vermicomposting, changed the cropping pattern, and added livestock to the farming portfolio. 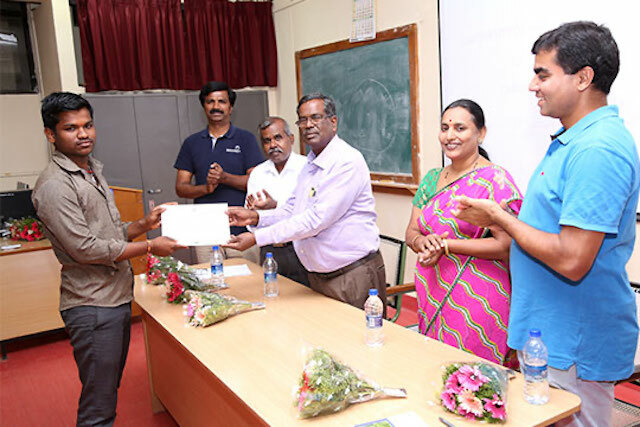 Suresha receives his graduation certificate from the University of Agricultural Sciences in Dharwad, Karnataka before beginning the field practice portion of his fellowship. In a span of only six months, Suresha’s initiatives have effectively doubled the revenue potential of his family’s farm. The protein-rich fodder has improved his cows’ health and production, and the increased profit margin amplifies the benefits of his techniques, proving the transformative opportunity available to rural youth when they apply best practices to their farms and begin to think of agriculture as a business and profession. Suresha works alongside the TechnoServe team in his vegetable garden. Practical mentorship on the farm helps to sharpen and concretize classroom learnings. To date, 30 Fellows have graduated from CAF’s six-month program. These rising agripreneurs have been trained not only transform their own farms, but also to launch other agribusinesses that can support a healthy agricultural market. Among the first batch of graduates you can meet dairy farmers, mushroom producers, drip irrigation engineers, and vermicompost providers, among other professionals. This diversity will directly help build the business support infrastructure needed to facilitate further agricultural development within the community for a more prosperous future. 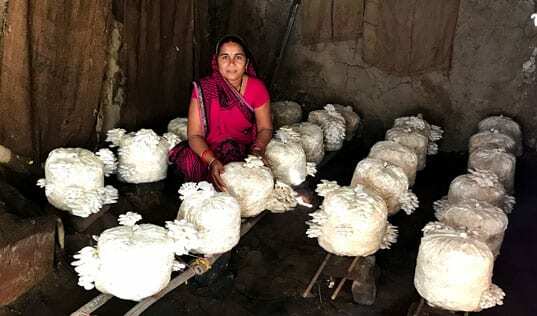 Read the story of one of Suresha’s CAF peers and learn more about TechnoServe’s work to provide prosperous rural livelihoods in India.